Well peeps, winter's arriving and from next week the mytea@om crew are decamping to Europe for 4 months, so it will be a little slow around here for a while. The crew are takin' up the very generous offer of a Vdub campervan for the duration.Heading south from Rott'dam to the delights of Tuscany-Umbria, Milan to spend xmas, the mountains of Piedmonte for new year, along the beaches of the French Riviera, back up west-side to Breton and coast it all the way back to the land of the Nethers....That sounds exhausting just typing it...well we'll see how it goes, so for the time being, here's a bit of old-school early analog bass, discofied house for ya!....still sounding phat after 25 years. 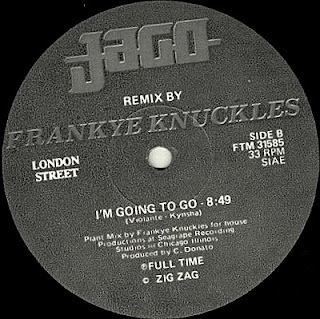 A remix from da house GodMaster Frankie Knuckles on Italian label FullTime Records....Hopefully get a couple of more bits up for ya before we offski!